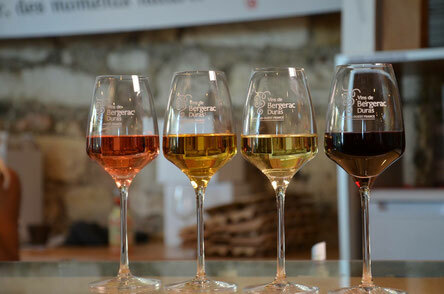 If you're exploring the Bergerac wine region be sure to understand the different appellations first. 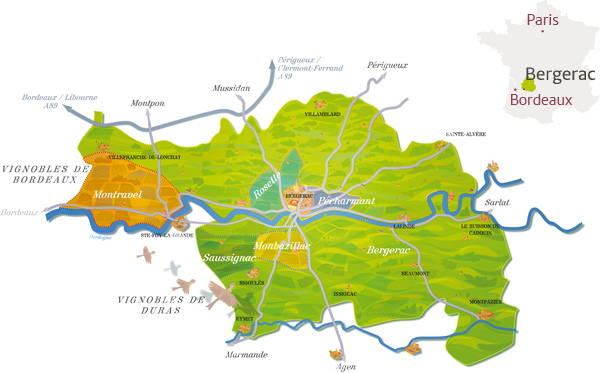 Bergerac consists of 13 appellation d'origine contrôlée (AOC) or appellation d'origine protégée (AOP), the new European regulation. To use an appellation category on a wine label a wine maker must follow a number of rules. The main ones are the grape variety; the quantity of wine produced and most importantly the location of the vines and where the vinification takes place. There are many more rules and the more specific the appellation the stricter they are. The 'easy' way to remember is 1, 2, 4 and 6! Montravel Rouge - this appellation was only created in 2001 and even stricter rules than Pécharmant! It boarders Saint Emilion and in a blind wine tasting Montravel beat its world famous neighbour! Monbazillac (sweet) - located south of Bergerac and the wine must contain more than 45 grams of sugar per litre or more than 85 grams if 'Sélection de Grains Nobles' is mentioned on the label. Now, back to the rules. If you follow the 'basic' Bergerac wine rules then you can put 'Bergerac' on your wine label (this applies in any region and every country). 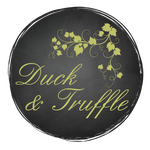 However, if you want to put a specific appellation on your label then you must follow even stricter rules. So, for the wine novices, if a wine maker in Saussignac produces a dry white wine it can only be labelled as Bergerac Sec. When he produces a sweet white he can then use the Saussignac label....if he followed the rules!